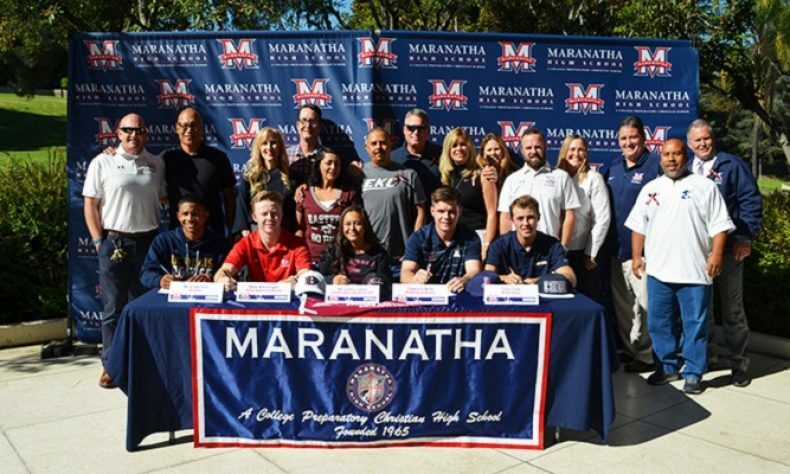 On Wednesday, November 14, five outstanding Maranatha Minutemen solidified their athletic achievements when they each signed a National Letter of Intent during National Signing Day. These student athletes are senior Max Blessinger who will be playing baseball at Dallas Baptist University; senior Cole Dale who will be playing baseball at UC San Diego; senior Nick Iverson who will be playing baseball at UC Davis; senior Miranda Lopez who will be playing softball at Eastern Kentucky University; and senior Dawson Netz who will be playing baseball at the University of Arizona. The Maranatha High School community is proud of all that these young student athletes have accomplished.